The material on this album will be familiar to those who caught the concert broadcast version last winter. 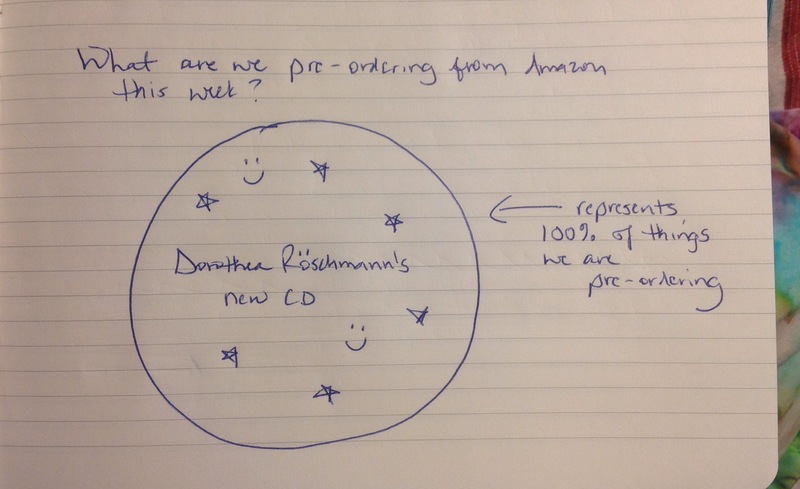 I knew going in that it would be mostly the same selections, but I wasn’t sure whether Röschmann, Daniel Harding and the Swedish Radio Symphony would record it separately in the studio, or whether the album would be pieced together from the recorded concerts. It’s the latter (minus the piano concerto that the live audience heard). One might not immediately realize that this was a live concert, though – all the audience noises and applause have been removed. 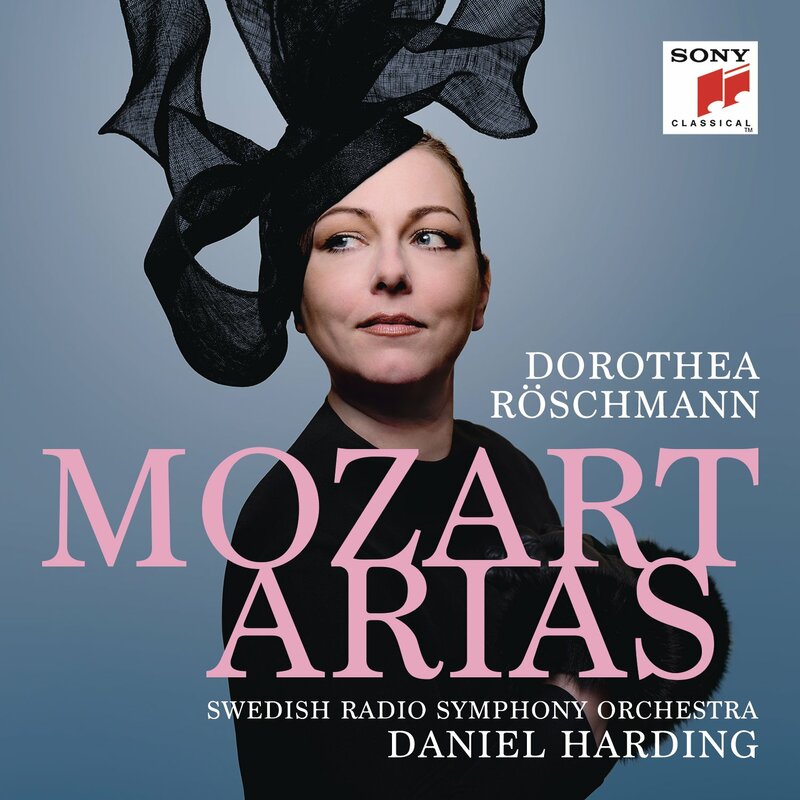 It’s a disc of Mozart arias from roles that Röschmann built her operatic career on – the Countess’s two arias from Figaro, Donna Elvira’s “Mi tradì”, Vitellia’s “deh, se piacer me vuoi” and “non più di fiori” from La Clemenza di Tito. There are also two arias from Idomeneo, one of which die hard Röschmaniacs will have heard her sing before if they’ve got the bootleg of her as Ilia at the Met in 2006, and another of Elettra’s. The program finishes with a concert aria that I had never heard before the broadcast last year, “bella mia fiamma, addio”. I was reminded of one thing during this concert, and I think I may have learned a second thing. The first is the difference between your average run of the mill good but not stunning soprano voice and your international-stardom-and-obsessive-fanbase-creating voice. Except for Hélène Guilmette (Belinda) and Hank Neven (Aeneas) the other singers in this concert (a series of scenes and arias and instrumental music from Purcell’s operas in the first half, and then Dido and Aeneas after the jump) were also members of the chorus. I registered a series of light pretty soprano and mezzo voices in the various scenes – and then when Frau R sang “oh, let me weep” from The Fairy Queen suddenly every molecule of air in that hall was alive with sound. And by the end, the drama had caught up to the interpretation. 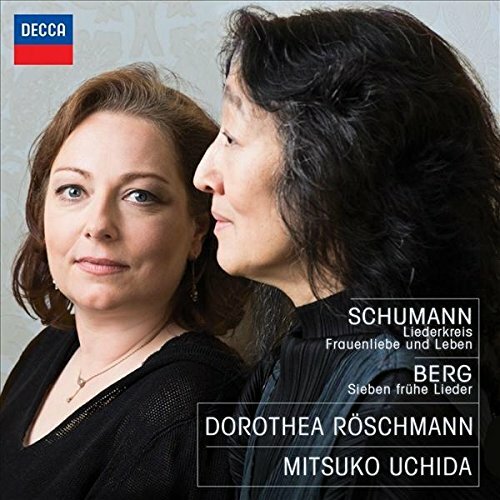 Dido* as performed by Frau R operates with this massive emotional force that makes the other characters seem less substantial – not poorly sung by any means, just not as powerful or vibrant, while Dido is just a sort of continuous storm of feeling. The “thy hand, Belinda” recitative that leads into “when I am laid in earth” was incredible – it was suddenly so intimate, and yet the overall scale had not changed: this was big enough for an opera stage but subtle as a song recital, and the way Röschmann shaped the music and text right then was one of those moments where she’s singing in English but it feels and sounds the way her singing does when she’s singing in German. I felt as if I was being shown precisely how opera is created, how something done on so large a scale can also be so subtle. *Every time I type “Dido” and then a space, my phone thinks I’m trying to type DiDonato. I guess this is what you might call a textbook case of reaping what you sow. 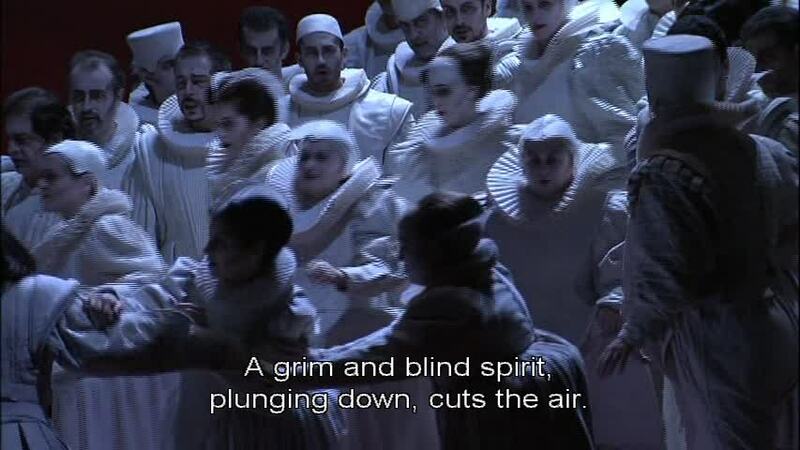 The recent Salzburg production of Schubert’s opera Fierrabras is available for free via Medici.tv at the moment. I watched it because, well, one does. Although you can see why Schubert is known as a song writer rather than a composer of operas, it’s not a bad way to spend a few hours. 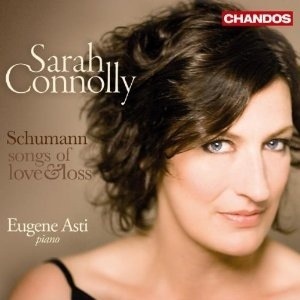 Remember there was that concert from Italy last fall of Röschmann singing Strauss’s Four Last Songs? It was broadcast over the radio, but the stream did not work very well and I didn’t get to hear it properly then. Bits of the concert turned up on YouTube, recorded with someone’s phone, but it seems they had their phone on “add unpleasant metallic edge to all human voice sounds” setting, so that was a disappointment. This version, not recorded with a phone, sounds substantially better. It’s surprising what you could get away with saying in the nineteenth century . . .
. . . as long as you didn’t actually say it, of course. 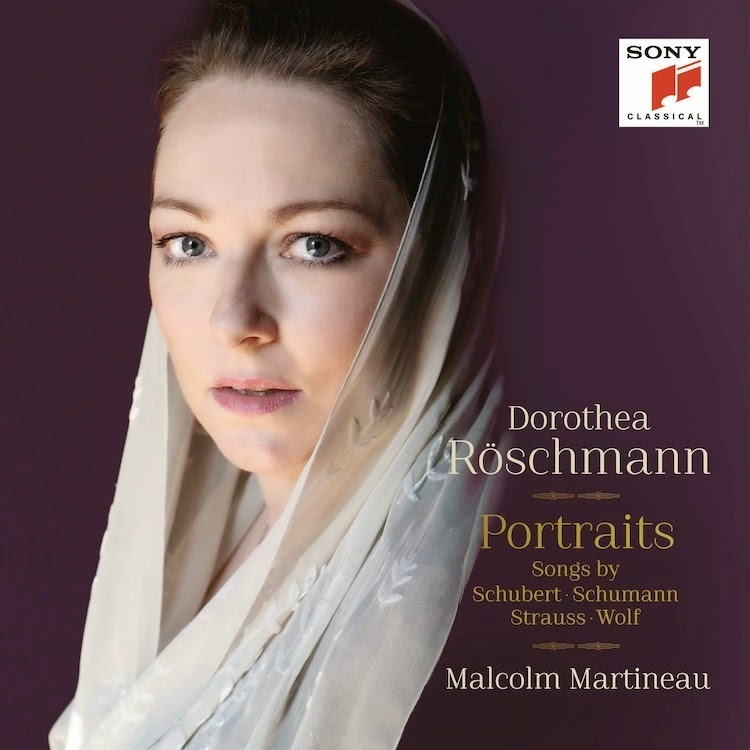 Here is Dorothea Röschmann at the Edinburgh International Festival, from her recital on August 19, singing Hugo Wolf’s “Erstes Liebeslied eines Mädchens” / “A girl’s first love song.” Text by Eduard Mörike. There are relatively few things in the world for which I am prepared to get up at 5.00 in the morning. But this recital, live on BBC3 tomorrow, is probably one of them.